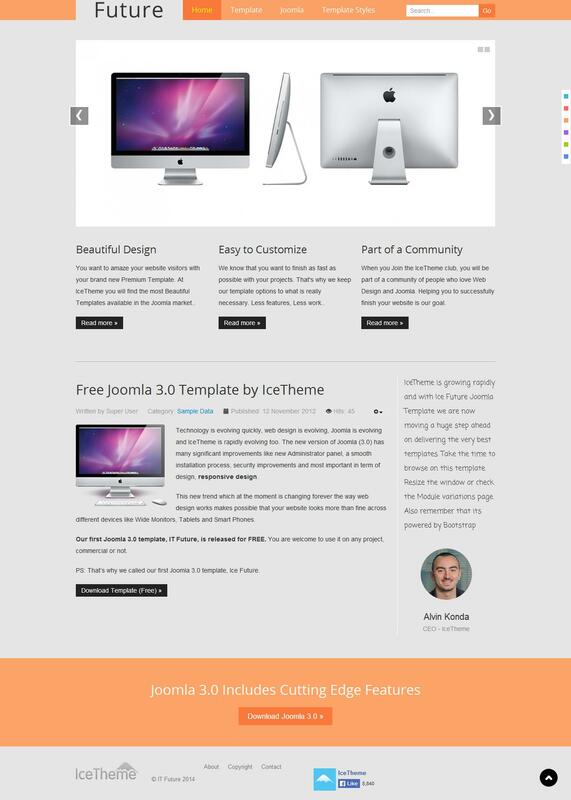 IT Future - fashioned template from the studio IceTheme, designed specifically for CMS Joomla versions 3.x. Its advantage is that it's free and universal: a plurality of modular products and different color schemes you can use it for any kind of websites. Plus it is also a private "tuning" the resolution, ie the pages "adjusted" under your screen resolution. With the template supplied with the expansion and installer template Clone_Installer. All components of the template, like himself, are free and redistributed under license GPL. Sites, which are based the template are displayed correctly with all types of mobile devices and in all known browsers.